So, August arrives again. Like every year, channel logos change to green. Youth begins placing flags on their roof tops, buying badges and flags only to find them on the floor beneath our feet the next day. More deceitful promises and more lies by dearly loved leaders; more national songs and a load of new revolutions. No one really understands the importance and the privilege of being free. We all jump on the bandwagon because everyone else is, everyone else is because the entire world is hence joining the trend. We are all consumed by a false sense of freedom and independence. We are all living in oblivion celebrating a few days in a year convincing ourselves that we’re “Independent” and we’re “free” but our minds and hearts are chained and we’re probably the most naïve nation there could possibly exist. What exactly are we celebrating? – False sense of freedom? Our deceptive “brotherhood” where no one is willing to help none but himself? As someone who has lived abroad all her life, something that pinched me the most when I shifted to Pakistan for education is the reluctance to help others. What exactly are you celebrating and what exactly are you wishing and praying for with all that calling out to Allah on your religious transmissions and morning shows if you’re unaware of the basic courtesies that make up a stable society? Let alone a stable society we’re not even a society yet. A society that is hell bent on discrimination between different cultures and different religions, a society that thinks its own interpretation of religion from a sea of misunderstood interpretations bewilderingly mixed up with culture is above the genuine religion this country’s creation was based upon? What are we celebrating? Sure every country has its flaws but societies work towards making them right which unfortunately is a mere fantasy in our case. Ours, sadly, is a society of miserable fools looking for a reason to celebrate and it could be anything. Don’t blame my fellow countrymen since Pakistan is one of those countries that have seen the worse of worst yet the people try to remain buoyant but is it really strength or is it just being numb and immune? It won’t be wrong to say that the general public has run out of energy to outrage. So numb that we’re not even bothered about the rulers who rule us in the name of democracy. No, not anti-democratic but certainly not pro-make-a-fool-out-of-me-again. Remember the phrase “Fool me once shame on you fool me twice shame on me” we’ve been shamed so many times, probably lost count. Don’t mistake this for cynicism. I used to be insanely Patriotic but I didn’t actually understand what patriotism truly was. Patriotism isn’t chanting slogans it’s not hollow rhetoric and meaningless emotions you exhibit on the social networking sites. Patriotism is much more than that; it’s about owning what you have. People who change their profile pictures and statues are the same people who are likely to abandon their homeland for a foreign land and an overseas passport. One wonders where all this patriotism vanishes then? Your patriotism is not living in oblivion about the state of your country. It’s not ignoring the wrong doings of your people. I’m sorry but I cannot call myself a “proud” Pakistani right now. 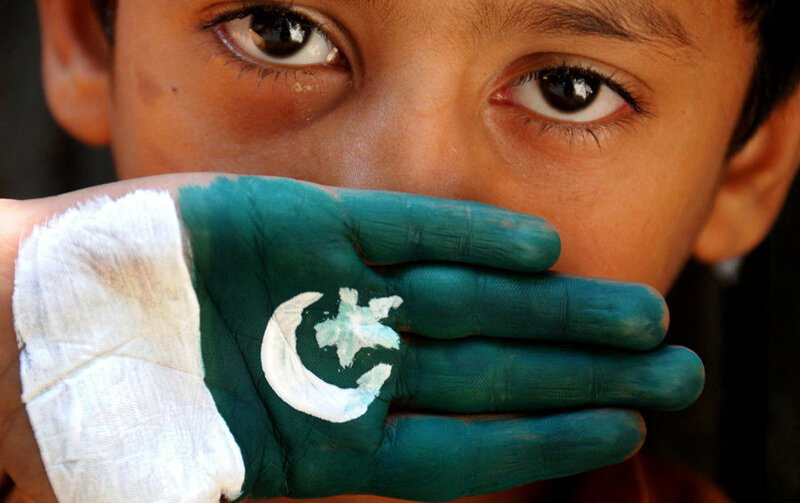 I do call myself and Pakistani, always had and always will but not a proud one. I choose to be conscious rather than living in denial. Chanting slogans doesn’t help. Singing national songs is nothing but pretense if you’re a greedy leech oppressing the ones below you, seizing someone’s right, misusing your authority you’re nothing but a hypocrite lying to yourself. It’ll be clichéd to write a long list of things we all ought to do as we all know our role, so I won’t go there. I’ll just hope and pray, because that’s what I can do. I hope that one day, hopefully one day we’ll have a country that Jinnah would be proud of. Not a society where people merely live, or rather survive, because they have to but because they want to, thankfully. Not a society that survives on the basis of corruption, wealth and power but a society that accommodates all the caste religions and statuses peacefully. And I hope that someday, soon hopefully, someone like me does not sit down and think about their independence in the manner I have.